Thirty-one-year old Rejoice has followed her missionary husband to an island of vicious aliens. 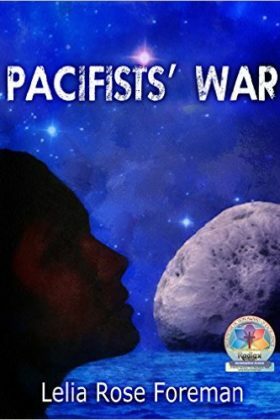 Conflict ensues when a new group of settlers land on New Earth and violate every established rule of the pacifist colony. Thirty-one-year old Rejoice has followed her missionary husband to an island of vicious aliens. Conflict ensues when a new group of settlers lands on New Earth and violate every established rule of the pacifist colony. Can Rejoice maintain peace between the aliens she loves, the aliens she hates, the factions of the fractured utopia, and the newcomers? Book 3 of the Shatterworld Trilogy series.